The location or the hotel is excellent and the parking facility nearby at a reasonable price . Un soggiorno gradevole, purtroppo breve, ma mi auguro ripetibile a breve presso il vostro hotel. Complimenti per la vostra apprezzata accoglienza, una reception molto professionale e cordiale. 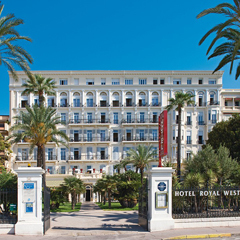 An old and charming grand-hotel refurbished in a simple and contemporary manner.In the heart of Menton and in the front of the beach.Intersting price level. 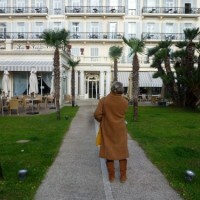 This web-user gave a score of 1 / 5 to Vacances Bleues on january 2019, but declined to leave a comment. We decided to say at the royal Westminster when we were last in Menton, mostly because of the impressive grounds and location. Six months later we were not disappointed. We went directly to the front desk rather than Booking.com and they gave us a better room at a better price. We loved our stay in a big room on the 5th floor. It was one of our nicest stays anywhere.